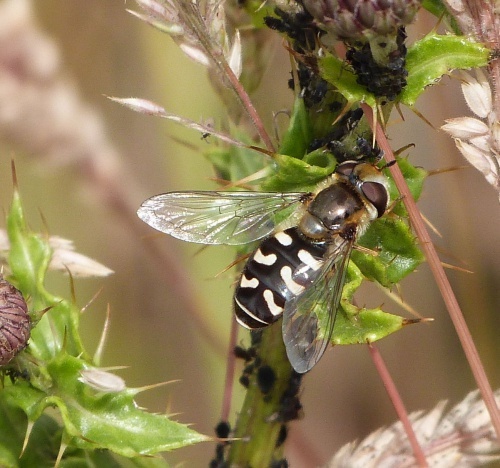 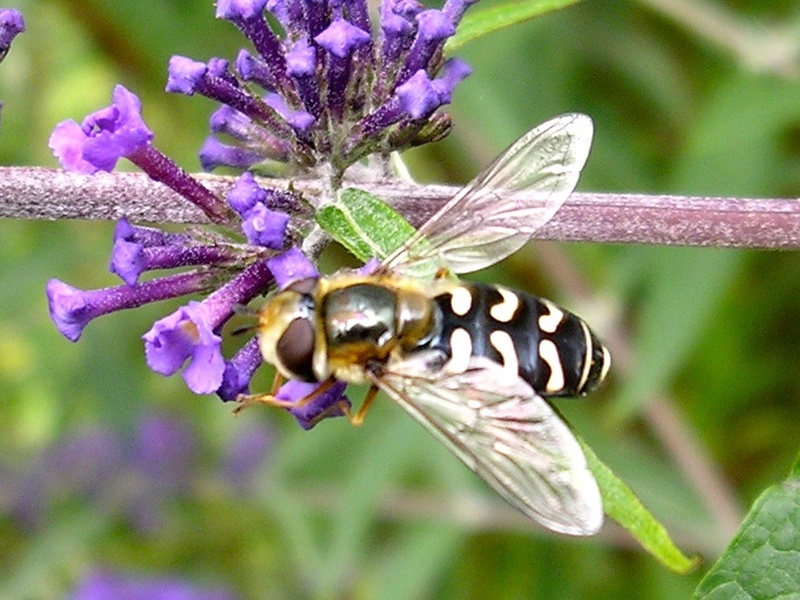 A large and conspicuous hoverfly with pairs of upward curving creamy-white bars. 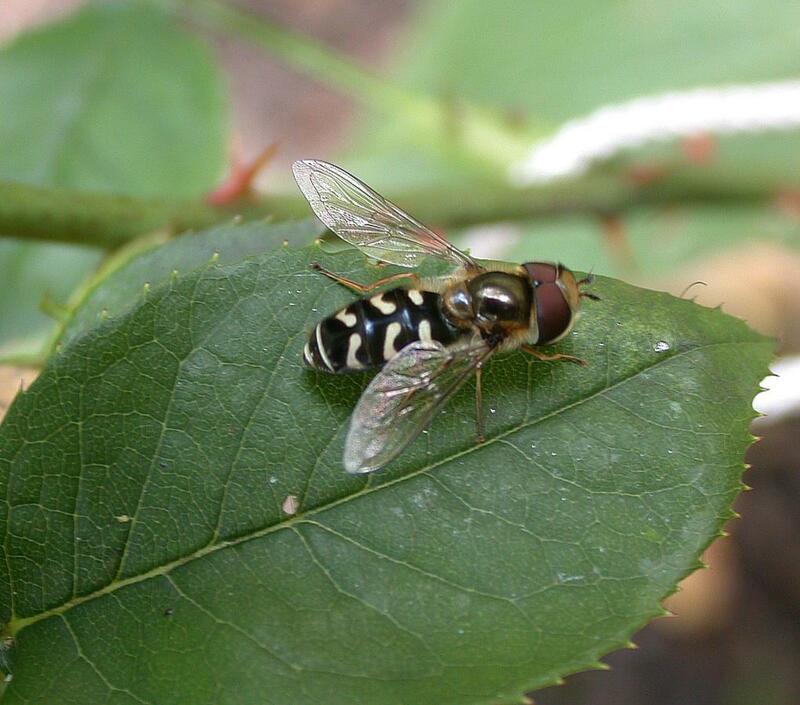 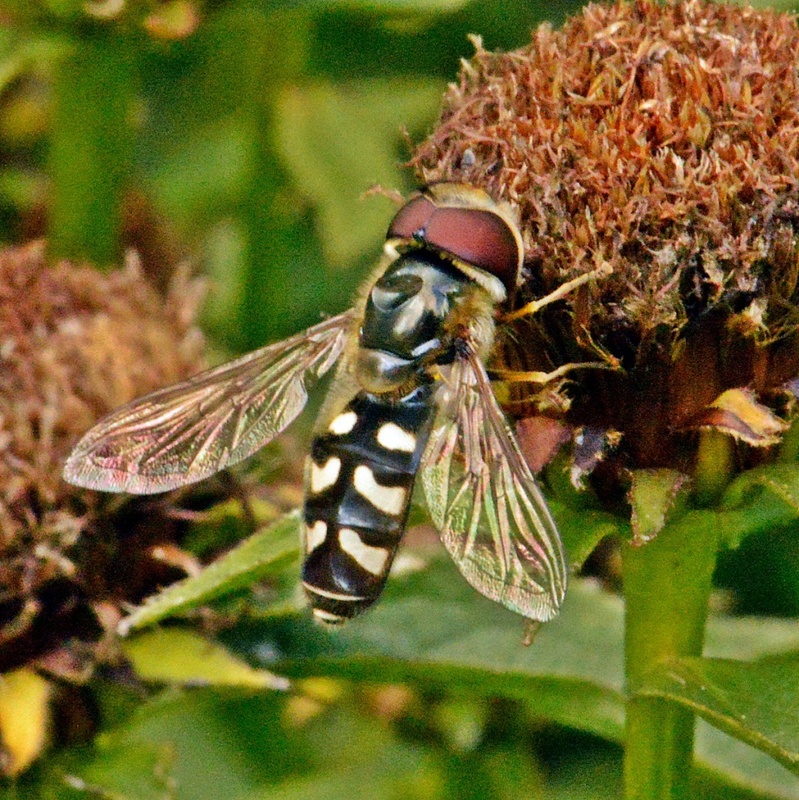 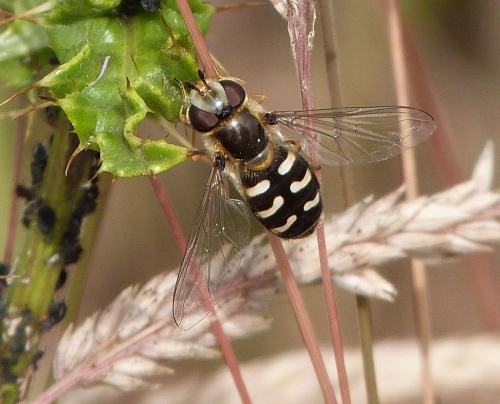 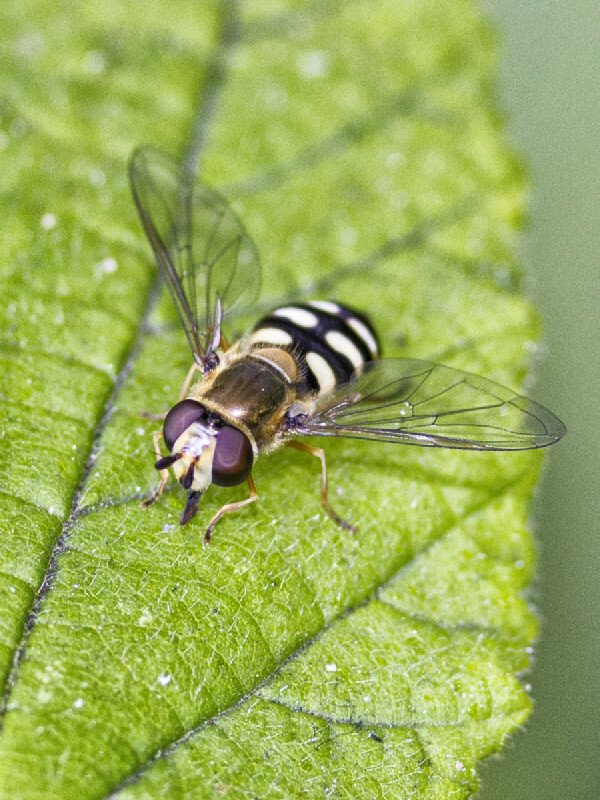 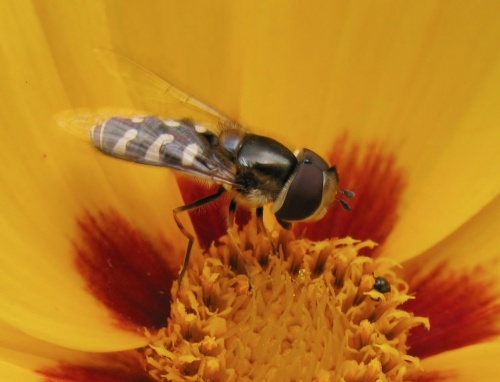 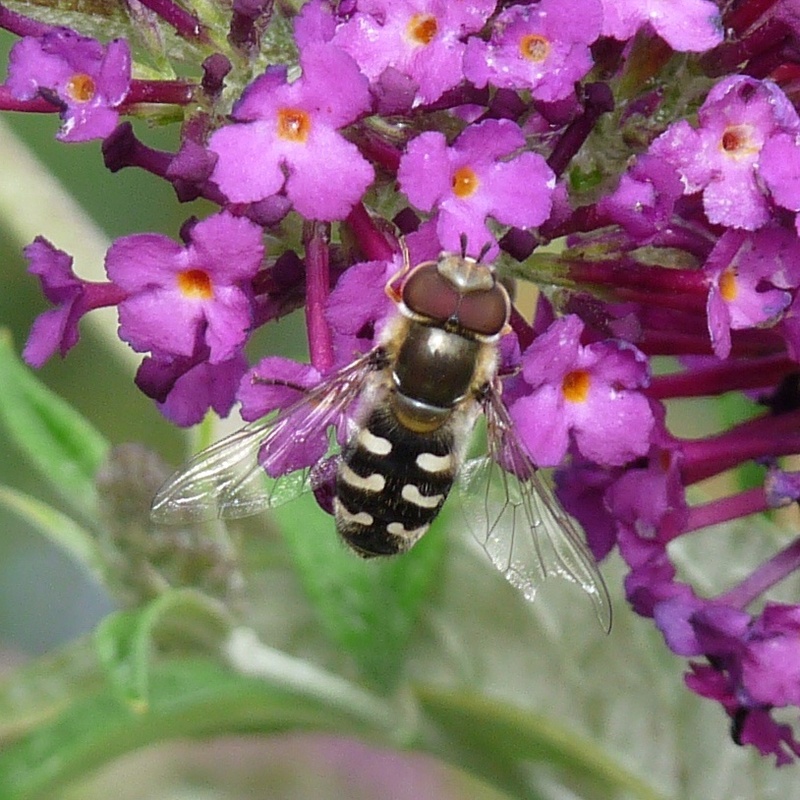 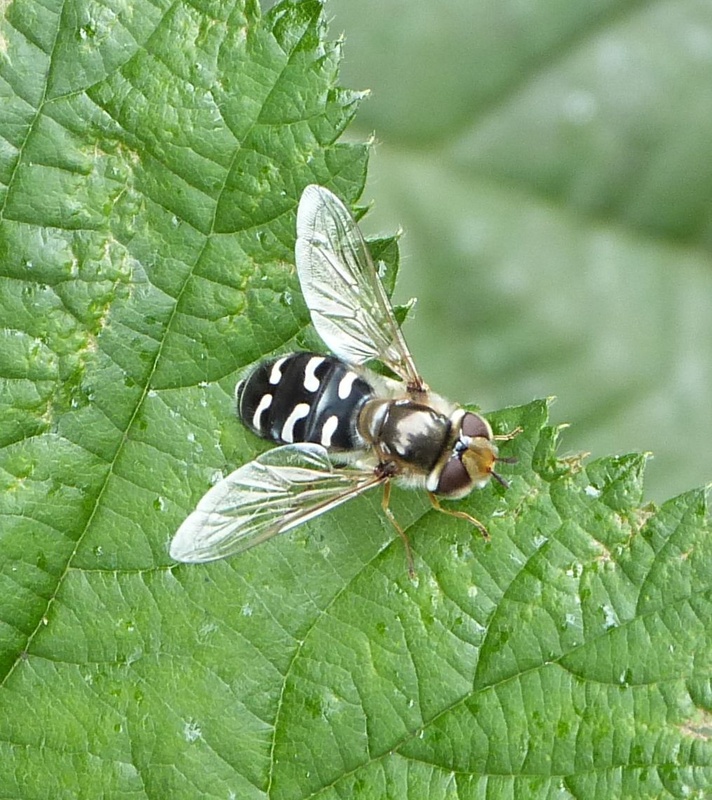 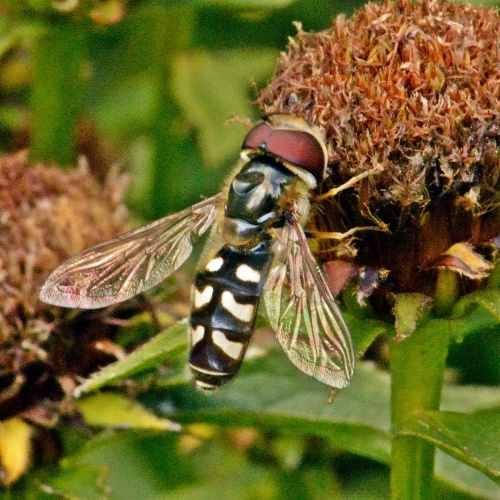 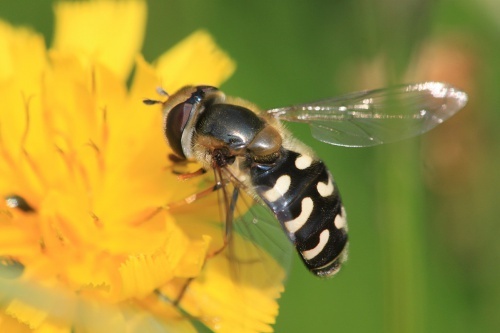 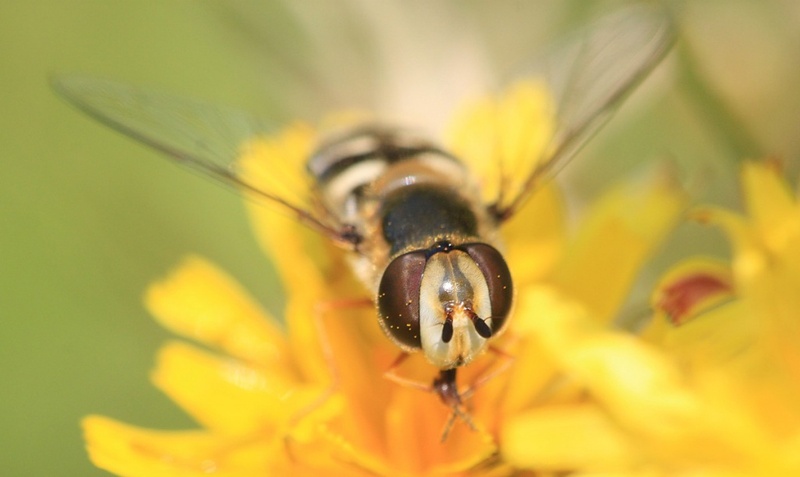 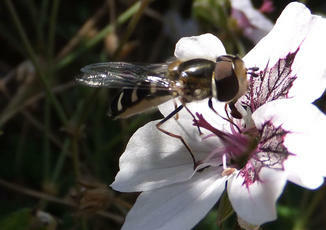 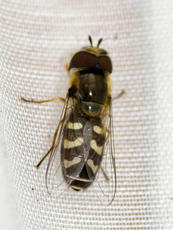 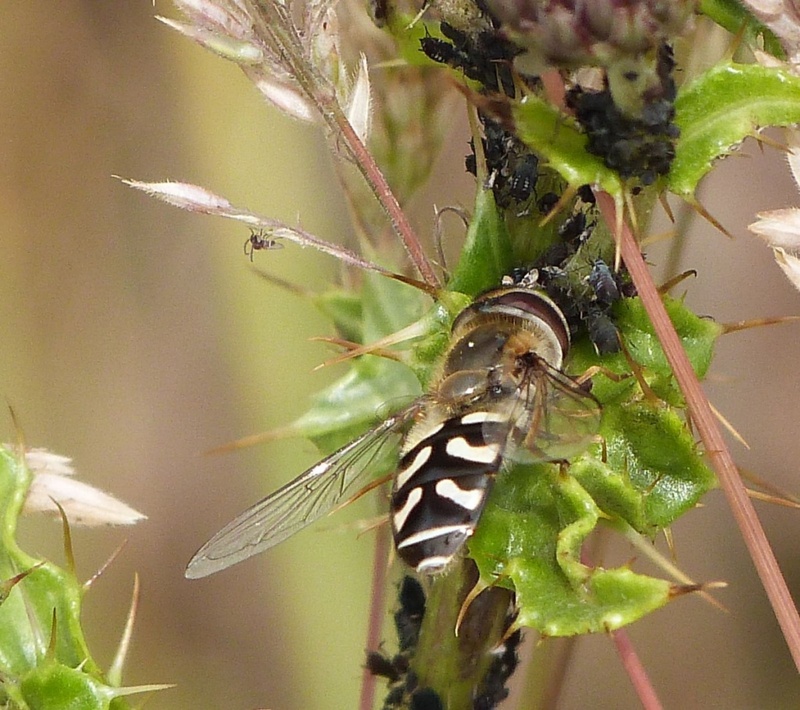 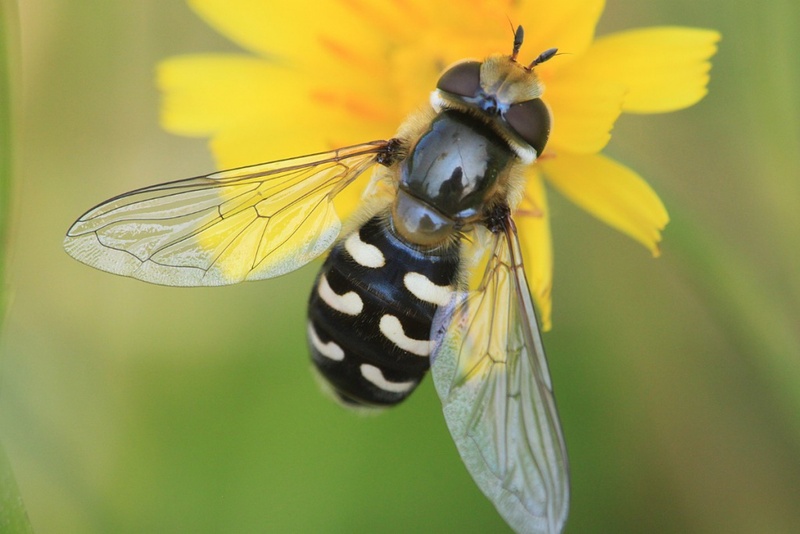 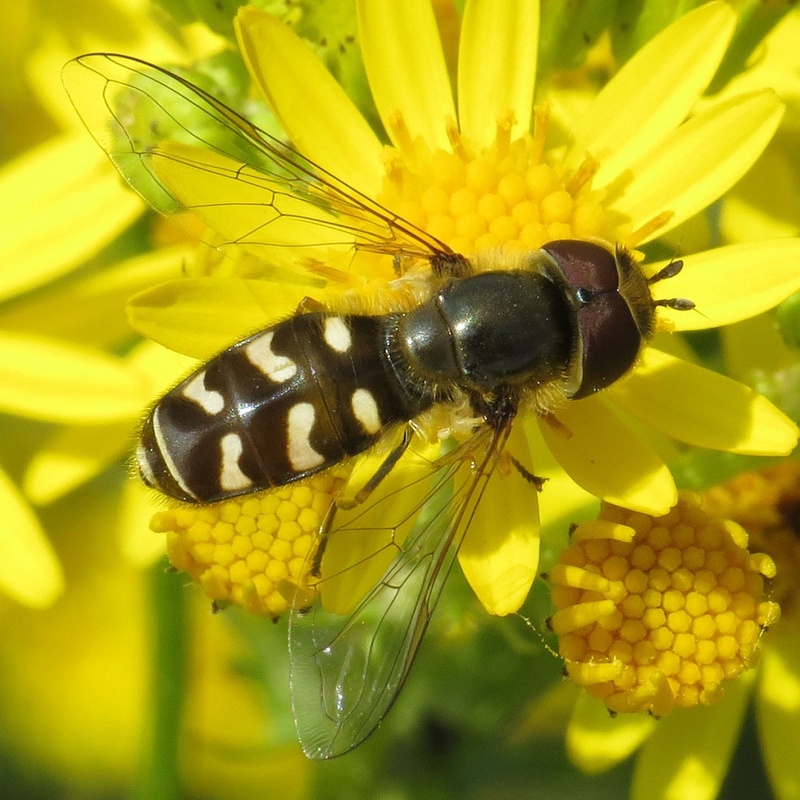 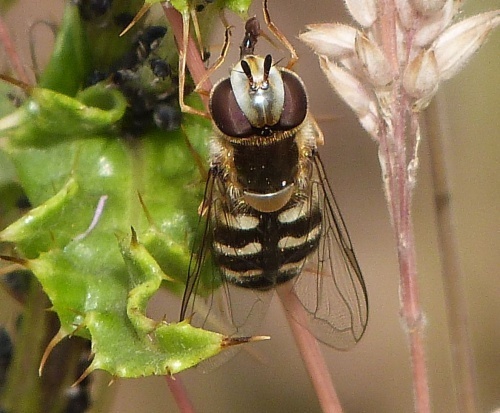 Known as the Pied Hoverfly. It can be found in gardens, wasteland and meadows. 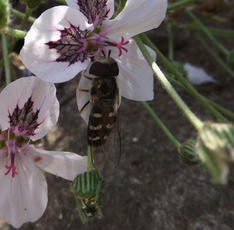 May to November, peaking in August. 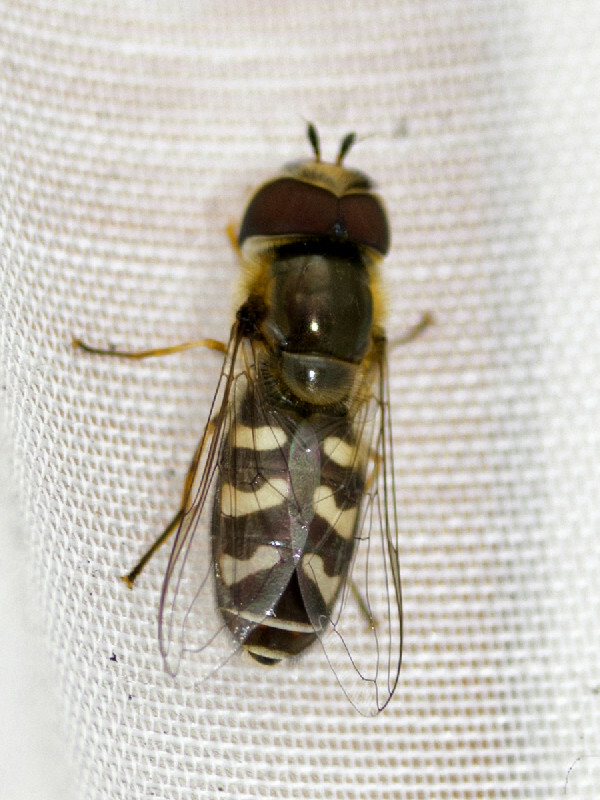 It is thought that few can survive the winter so that each year the breeding population depends on migration from mainland Europe. It is found across much of Britain though like many hoverflies it becomes rarer the further north you go.